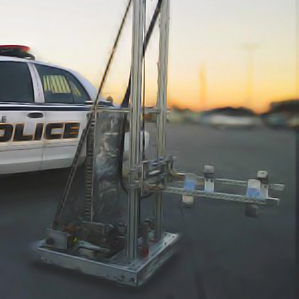 Robots aren't just metal, wires and code all mashed together. They are the vessel our team utilizes in order to experience the fun and exciting experience that FIRST provides! Featuring its star-shaped panel mechanism and a reliable cargo manipulator, Category 5 can quickly fill up a cargo ship with precision and accuracy. What brought home a regional win however, was its spectacular defense! The second and final revision of our original 2018 competition robot, Killscreen; this robot can quickly manipulate power cubes and score on both the Switch and the Scale! 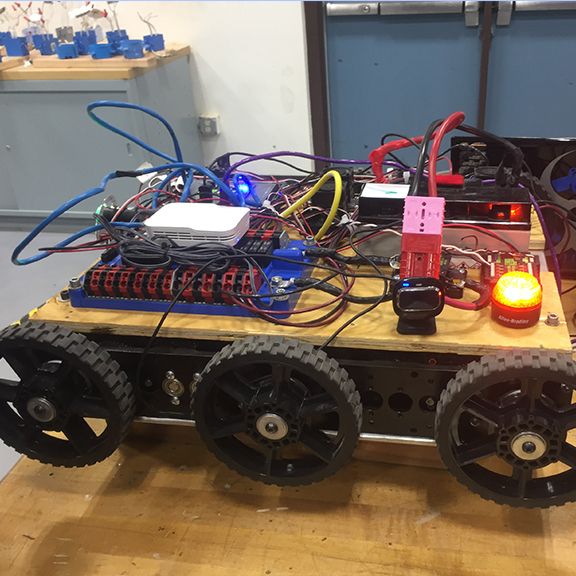 Featuring our two-cube autonomous, this robot has certainly made history on our team. Swiftly delivered gears many times throughout each match and climbed a rope within three seconds at the end of the matches. 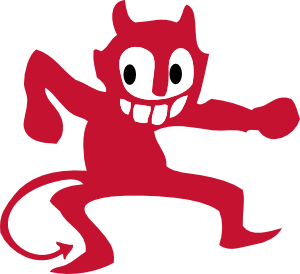 Spicy Devil qualified us to go to the FIRST Championship in Houston, Texas and made it to the Semi-Finals in our division! 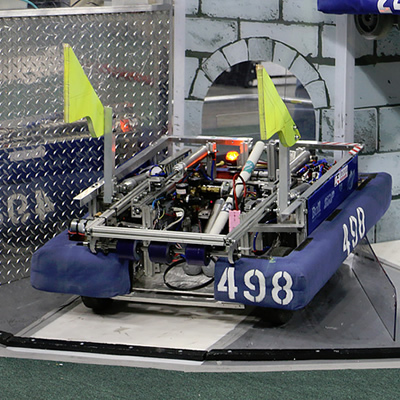 Taking down the tower, breaking defenses and boasting the 498 signature defense, Little Shredder brought us home our first Regional win and a trip to the World Championships! 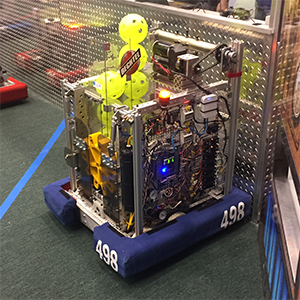 This robot stacked totes 6 high, picked up trash cans & stole cans from the center of the field. The Coyote brought home 2 regional Semi Finalist and 4th place in the AIA Robotics State Championship. Decimator was originally designed to throw the first pitch during the Arizona Diamondbacks game at the 2018 Science of Baseball program! Afterwards, we modified it to shoot a variety of t-shirts at our local high school football games. Spider Bot is a small remote-controlled robot built for testing purposes and serves as a tool for programmers to run code on. 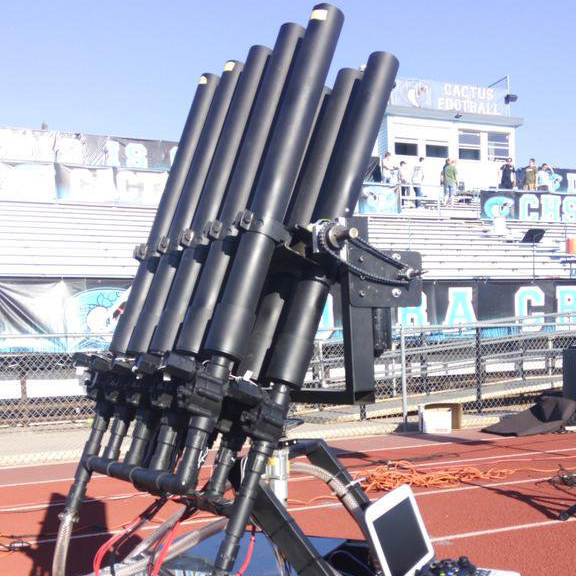 This robot was designed to shoot t-shirts at Cactus High School events and football games.